There’s a notice doing the rounds! It’s been shared and tweeted widely and even reported upon. It seems the Bar Council of India has finally woken up! 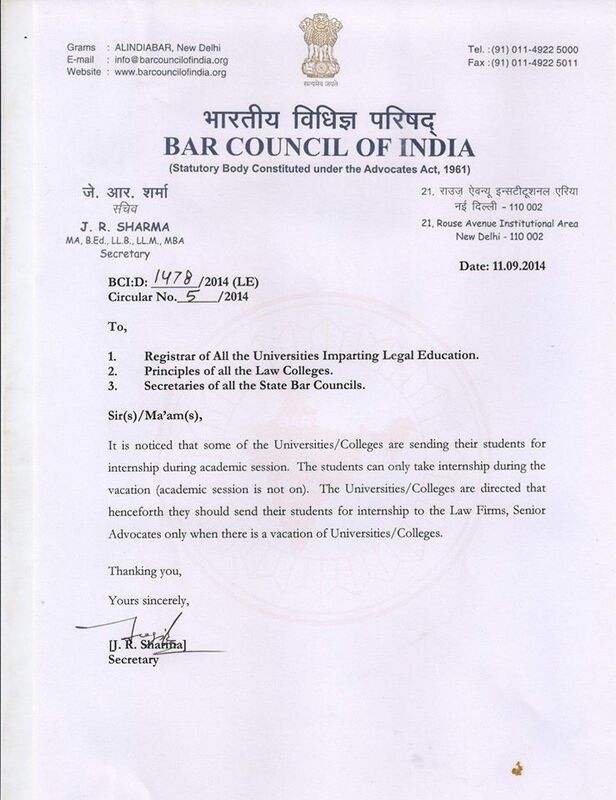 Issued by the Bar Council of India on 11th September, 2014 and supposedly sent to all law colleges in India, it says that law students should only intern during their vacations. In case you have other interesting ways in which this notice can be used, please leave a comment below! Such disrespect to BCI, you’ll say. I have reasons for the disrespect, and I’ll start my attack, now. Have a look at this link HERE. It says, proudly, authoritatively: ‘Bar Council of India, Part IV, Legal Education’. Provided that internship in any year cannot be for a continuous period of more than Four Weeks and all students shall at least gone through once in the entire academic period with Trial and Appellate Advocates. (b) Each student shall keep Internship diary in such form as may be stipulated by the University concerned and the same shall be evaluated by the Guide in Internship and also a Core Faculty member of the staff each time. The total mark shall be assessed in the Final Semester of the course in the 4th Clinical course as stipulated under the Rules in Schedule II. 1. You cannot intern for more than 4 weeks at a stretch. 2. You must have interned at least once under a Trial and Appellate court Advocate. 3. In the final semester, your’ll be marked on an ‘Internship Diary’. 4. You must have interned for a minimum period of 20 weeks/12 weeks in a 5 year/3 year course. Thousands of internships are done each year which are for a ‘continuous period of more than 4 weeks’. Dozens of batches of law students have passed, without ever having interned with a Trial court advocate. I know no one (and it may sound cocky, but I know a lot of law students, including 1000+ students from NUJS, Kolkata) who has religiously maintained an internship diary or has been marked on it. And forget, 20 weeks/12 weeks worth of internships, many law students do not intern at all! Point number 26 [of the same link] is even more interesting. Had the BCI implemented what it says it will do in point number 26, Lawctopus might not have even come into existence. 26. District-wise list of Senior Lawyers willing to guide students under internship: The State Bar Councils shall be required to prepare a list of suggested Senior Advocates District-wise with at least ten years experience who are willing to take under internship students during the vacation period. The Bar Council of India shall then publish the list of senior lawyers willing to guide students under internship in the web-site as well as make the list available with the Institutions. We have never come across such a list. No one has. The Bar Council of India clearly hasn’t moved a finger to work on such an important task. Well, let’s just say that issuing a notice is easy, but doing the work, which requires time, money, effort, expertise and vision, that’s difficult, and of course and the Bar Council of India has never really done the ‘good, difficult work’. Well, the first step BIC can take to ‘regulate’ is to keep up the promises it has declared publicly. Or if the BCI cannot regulate in this way, then it should regulate by getting out of the way. This is to inform you that your notice disallowing students from interning during non-vacation periods severely restricts our internship slots. The lawyers willing to offer us internships are few and will all be ‘taken’ during the limited time we have vacations. Just to aid your thought process, please do note that the vacation periods of many colleges clash. I’d also like to bring to your kind attention that the database of lawyers for internships which you’ve promised in the ‘Rules of Legal Education’ has never been published. I’ll be happy to adhere to your notice once such a list is published. The badly regulated and thus suffering. Kindly tell me can I intern under 1st class civil and session judge ? After two years of publication of this notice, my university has woken up to it now and decides the best time to implement it is when students are already interning. (With retrospective effect of course!!). So now students who are interning do not get attendance and miss out on tests and compulsory moot courts. (Talking about 5th year students who wish to join law firms). Any solution to this? kindly tell me if I am interning with an independent advocate or an associates for entire of my law course, will it be valid? because I don’t want to leave the place where I am interning as it is such a nice and calm place, moreover my senior is quite encouraging and supportive. so can I continue it till the end of my law course? will it be valid? Internship period in an year cannot be more than For a continuous period of 4 weeks…..
pls someone tell me when it is explicitly written that internship period in a year cannot be mar than 4 weeks then how a internship for a period more than 4 weeks will be valid ? My course is only 2 classes a day i.e. 9 to 12 that too very irregular. I don’t see any harm is devoting my extra time in legal internships. I am a graduate pursuing 3 year law or LLB. It will leave me in disparity and fill me with feelings of joblessness if i am not interning and enhancing my knowledge. Also, Which courts in India are open during vacation. Who should we intern with. Kindly raise justified issues. BCI Thanks alot for ruining budding lawyers to gain knowledge. If we apportion the blame for polluting the quality of legal education in India, BCI will get a lion’s share not less than 90%! It is the BCI which has handed over legal education to dogs by granting recognition to run of the mill educational institutes by taking bribes ranging from Rs 10 to Rs 10 Lakhs. These institutes in turn have distributed law degrees to all and sundry while BCI has been busy counting its illegal fortune received in the form of bribes and more bribes. 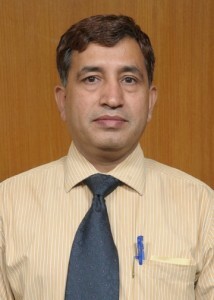 Its when legal education reached its nadir thanks to BCI that DU and its illustrious sons and daughters took it upon themselves to turn around the quality of legal education by establishing series of National Law Universities across the length and breath of the country and salvaged the reputation of legal education to certain extent. Its about time that BCI is liquidated and replaced by National Law Universities as the primary regulator of legal education in the country. BCI, by acting against DU and not acting against thousand others who continue to plague legal education of the country you have only hastened your liquidation. BCI is dead, long live the BCI! i am happy with this notice. i don’t agree that doing intern enhances learning experience in classrooms , even in most cases interns don’t attend the classes ,because they think all they are learning is from their law firm and not the classroom ,at the time of class they play games in their mobile , whatsapp , facebook , they come to class for the sake of attendance only. in some cases they don’t even know the basic sections of the bare acts or articles of the constitution . BCI made a Notice about internship. We know that the Many law student’s and Legal Firms Hearted. But this Notice is good for All Law students to get a extra knowledge from the period of the academic year. Whatever people preach and write, its always the students who have to suffer. Hi. Though I agree this notice is stupid (I’m using a mild word), isn’t it time that people from GLC and DU realise that most semester long internships don’t teach you the law, they teach you how to follow orders. Academics are important for a minimum level of development and legal acumen, which I’ve seen lacking in many such students. I think interning enhances the learning experience in the classroom. Having said that, there is no point in interning for the whole semester. That is just pointless. Really? 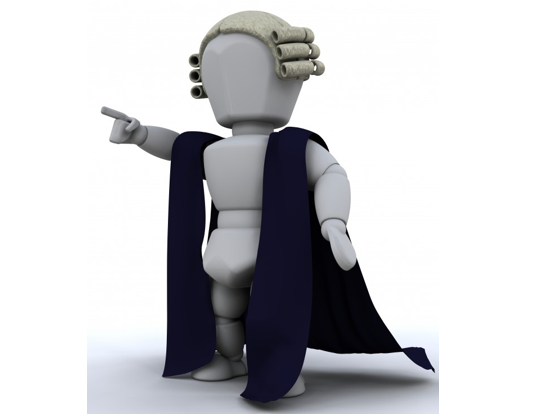 Did you learn ‘legal acumen’ in law college? Did your professors teach you drafting, pleading, conveyancing in your college? Did your professors teach you how to write a legal opinion? Did your professors teach you the procedures to be followed while filing a plaint/petition/application in the courts? I am a GLC student and I have done ‘semester long internships’. I am better equipped than those who have regularly attended college and have done short term internships. Just make the attendance requirement more stringent methinks. Serves both parties. For those cribbing about how time spent in the classroom is time wasted, trust me it’s not. The quality of the professor does make a difference but even with terrible professors, a lecture holds tremendous inherent value. Finally, as regards the grouse that more class hours wouldn’t let you intern as much – you’re still a student and act like one! The truly industrious can balance both. You make a very valid point when you say that the BCI hasn’t been able to enforce such rules in the past, and probably will not be able to impose this one either. But their objective seems to be to enforce attendance rules in colleges (which they have not been able to do successfully in the past either), and hence what is stopping the administration of these colleges from taking cognisance of this notice and enforcing it upon the students? In case the 66/75% attendance is met, why should the BCI have problem with any type of internship? A writ should be filed to nip the notice in the bud, because an official notice can snowball into a bigger problem and impact students later. Don’t forget how the UGC screwed the 4 year FYUP of Delhi University. Before the writ, it may be worthwhile, but not necessary, to ask the BCI to justify the notice because, inter alia, its attendance rules calls ONLY for 66.66% attendance. 5. Make a Paper plane out of it!!! !